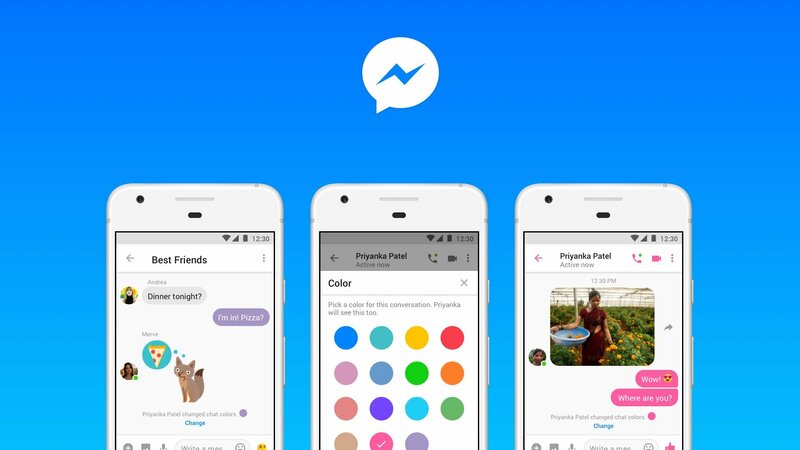 Messenger Lite, the basic version of the Facebook mobile communication app, is getting a few new tools for user customization and expression. Messenger Lite users can now send and view animated GIFs, plus do more. Although Messenger Lite did previously support GIFs, they were not animated inside the application. (Making them just still images.) Now, they’ll play as programmed and Facebook recommends using third-party tools, like the Google Gboard, to find and send GIFs. The social network offers this advice to keep the app as small in size as possible. Along with animated GIFs, Messenger Lite now supports many of the customization options found in the regular Messenger app. For instance, users can change text bubble colors in conversations. Plus, assign nicknames to others or change the title of a group chat. Even though Facebook has added new options to Messenger Lite, including video chat support earlier this year, it is still under 10MB in size. And, it’s available in more than 100 countries globally. So, it’s a viable alternative, for those in developed markets who don’t play games and aren’t into Stories. Savannah Marie loves writing and all things social media. She writes on a variety of topics, from social media to health and wellness to travel and all points in between! She is the lead writer and creator of Mixios and blogs with style and a one of a kind voice.